It does get its fair share of bad press, but neo-prog was a part of the early years of my musical development – mainly because the other bands I liked at that time in the mid 80’s (Jethro Tull, Pink Floyd, Rush and Yes mostly) were split up and/or in hibernation. If I wanted to hear live music with any sort of a challenge then bands like Pallas, Marillion, IQ, etc. were the only choice (bearing in mind that I was working through word-of-mouth and band links and had yet to venture as far off the commercial track as the likes of Zappa, Hammill, Harper and many more I subsequently discovered). So whilst I don’t religiously buy every album by these bands in the music-hungry fashion I once did, I do keep an eye out for what they’re up to and have bought the occasional disc on recommendation or from bargain shelves. Having said that, this week has been a bit of a progfest for me. Last weekend I saw Pallas in Glasgow, sporting both current and former vocalists and making King Tut’s rock. They played a fair chunk of the Atlantis suite from their classic Sentinel album with original vocalist Euan Lowson, and a selection of newer songs, mostly from their two most recent albums, with Alan Reed. In the past I have found Reed’s stage presence to be a little uneasy, but he was very animated and had some amusing stage banter this time round – perhaps improving his ‘game’ to keep up with Lowson’s semi-crazed antics, which might otherwise steal the show. I thought that Graeme Murray’s bass sound seemed to have lost its characteristic sharp attack, and there were a couple of wobbly vocal harmonies, but in general it was a great show with plenty for Pallas fans old and new. Before Pallas came on stage, we had another couple of blasts from the progressive past, in the form of Glasgow-based progsters Abel Ganz who also made use of two vocalists. Alan Reed, now of Pallas, was previously in Ganz and joined them for ‘The Dead Zone’, giving it an enthusiastic update for the new millennium. 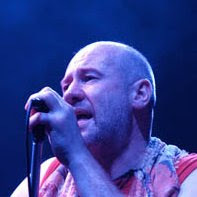 Also on vocals for the other two (long) songs of their set was Joe Cairney, formerly of Comedy of Errors – a Glasgow band who just started to bloom as the short-lived UK interest in prog (largely due to Marillion’s success) was tailing off. He put in a strong performance on two new Ganz songs which made use of more traditional instrumentation (bazouki and flute) and suggests that their new album could be a bit of a treat. Apparently Joe is working with Ganz keyboard player Hew Montgomery on a stand-alone concept album called The Grand Tour, which should be worth checking out. So – representatives from 3 of Scotland’s main players in the progressive scene – just one to collect… Enter Planet Rock radio. They kicked off Fish‘s new tour with a free show in Edinburgh’s Jam House. I last saw Fish almost twenty years ago when he was touring his first solo album and was able to fill the Playhouse. Changed days from the peak of Marillion’s popularity, but having done the sound at the Jam House myself I was interested to hear how a pro would sound in what seems a pretty good venue. Unfortunately not too good – the mix was pretty muddy in places, and especially on the vocals, with even Fish clearly struggling to hear himself on his monitors. The band were a good deal more raw and rocky than the previous line-up I had seen (which really had a point to make in terms of being musical equals to Marillion following the split), and certainly suited the music and delivery to a tee. I would like to see him changing the format a bit – I think the songs are strong enough to stand up to being performed just by him and (guitarist) Frank Usher, as Peter Hammill does on a regular basis, and would allow Fish to concentrate on the emotion and delivery of the song. The material was mostly taken from his last Marillion album (‘Clutching at Straws’ – celebrating its 20th anniversay), with a few from his new album (’13th Star’) and the rest of his solo career thrown in for good measure – the new material all sounded strong. One thing Fish has over most (in not all) other neo-prog frontmen is his natural showmanship – positively encouraging hecklers and engaging in lengthy periods of banter between songs, though sometimes it’s difficult to tell whether he looks like he’s going to hit someone or hug them!